Dr. Harrell received his PhD in Biostatistics from the University of North Carolina in 1979. He was on the faculty of Duke University for 17 years and of the University of Virginia for 7 years. He founded the Division of Biostatistics and Epidemiology at the University of Virginia School of Medicine in 1996 and the Department of Biostatistics at Vanderbilt University in 2003. 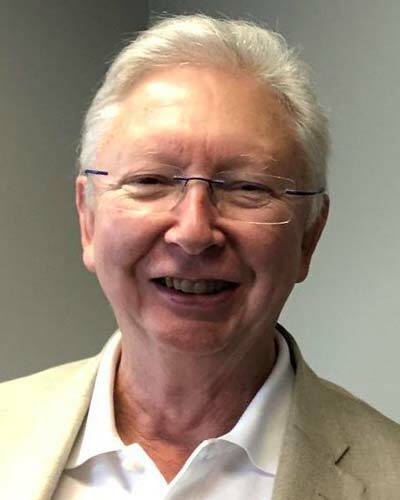 He has taught biostatistics and research methodology to hundreds of physicians since 1980 and has been a mentor or co-mentor to several physician investigators. He is an Associate Editor for Statistics in Medicine, a member of Faculty of 1000 Medicine, and a member of the policy advisory board for the Journal of Clinical Epidemiology. His specialties are development of accurate prognostic and diagnostic models, model validation, clinical trials, observational clinical research, technology evaluation, quantifying predictive accuracy, missing data imputation, clinical trials, pharmaceutical safety, flexible Bayesian design and analysis, and statistical graphics and reporting. He has worked on a large number of clinical trials. Dr. Harrell is a Fellow of the American Statistical Association and winner of its 2014 WJ Dixon Award for Excellence in Statistical Consulting. He was the 2008 Mitchell Lecturer for the Department of Statistics, Glasgow University. He was the 2012 Presidential Invited Lecturer for WNAR, International Biometric Society, the 2017 Visionary Speaker, Clinical Studies Coordinating Center, University of North Carolina Department of Biostatistics, Chapel Hill, and the 2018 Distinguished Visiting Scientist, University of Calgary Biostatistics Centre. He is an FDA Expert Statistical Advisor and was a member of the NIH Biostatistical Methods and Research Design Study Section. He is the associate director of the Research Methods program for the Vanderbilt NIH CTSA and was the director of the Statistics and Methodology Core for the Vanderbilt Kennedy Center for Research on Human Development. He is the PI of the NHLBI multinational ISCHEMIA trial DSMB statistical center. He is the author of two of the most highly cited papers (both are on development of prognostic models) in the history of Statistics in Medicine and has > 240 peer-reviewed publications (5 with >1000 citations).